Warning… Super long blog today. 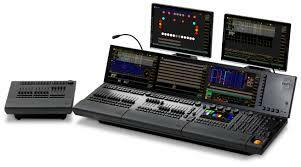 If you aren’t interested in tech and lighting… this is not for you. My passion for lighting started back in high school. There was a tech program that was student run and they set up lighting and audio for the school shows. My friends were on the tech team, and I used to hang out with them. I learned a little bit about theatrical lighting and power then, but it was more of a chance to hang out on scaffolding during school. My real foray into lighting was in 1992 when I first started with Kloda Productions. Harry Kloda gave me a tour of his warehouse on Pare (where Living Room is now) and said what do you like. I saw this guy, Tom Gall, playing with a light called an Intellabeam, and said, that seems pretty cool; Harry then said, ok your a lighting guy and left me there. This was the time when intelligent lighting, or moving lights first started making their appearance on a wide scale in the events industry. They had been part of the concert scene for a while, but the industry started to produce them, specifically High End Systems and Clay Paky for the wider events and club markets. 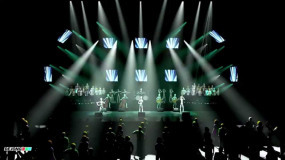 Before that VariLite was the only real player, and they only leased their lights for large concert tours. At Kloda, they used a relatively new console designed by an Israeli company called Compulite, there were other consoles on the market, but at the time Compulite was an industry leader. It was this console that caused me many months of frustration, challenges and eventually passion for years to come. The compulite was my enemy, and then my best friend for many years. You see, there were no courses, programs or Youtube videos that could show me how to work this. Tom was a really big help and inspiration to me back then, and was always there to explain to me whatever I wanted to know, but everyone was always very busy and there is only so much someone could teach before you actually just sat there and figured stuff out. I am not going to talk about the console and how it works here, just know that there was a moment in time where all of a sudden it clicked for me, it just made sense. I used to sit in the office with a console and some lights, with one of the worst manuals of all time, and just figured it out. I remember my first gig as a programmer. It was a Bar Mitzvah (can’t remember who’s but it’s fair to say that kid is now married and is planning their own kids Bar mitzvah) It was for 4 moving lights on 2 Manfrotto stands with the Intellabeam Controller. The next week I finally got to take a Compulite Animator and program 6 Intellabeams on 3 Manfrotto stands for a Sweet Sixteen, that was a real highlight for me, and from there, the rest is history. I became a handful of guys in the city that knew the Compulite Animator, and then the big boy the Compulite Sabre, then it’s baby the Spark. That first 6 Intellabeam gig got me to program concerts and festivals, large weddings and Bar Mitzvahs, corporate and fundraisers, Halloween lawns and raves. Some still had 4 moving lights, and some had 200. 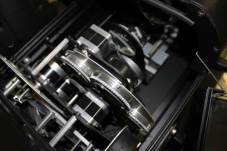 Today with everything technology keeps on moving at a faster pace than an old LD like me can keep up with. Towards the end of my programming days I started working with the GrandMA console which was leaps and bounds more user friendly than the Compulite. 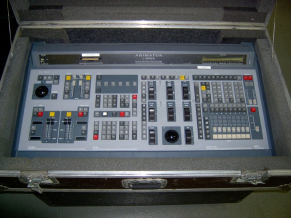 I also learned the WholeHog console, which I never really liked. The GrandMA2 is the industry standard today with the Martin M1. With the use of a 3D rendering program like WYSIWYG, you can set your stage virtually, program all the lighting on your laptop, show up on site and you are ready to go! I could go on and on about the differences, the details and the technology of lighting past and present, but I will spare you. I will try and give an overview of what it all means, and at least for the events business, what we do with it. There are three types of lighting, conventional, LED and intelligent. Conventional lighting is a light fixture with a light bulb in it. We plug it into a dimmer and it allows us to control the intensity from 0 (off) to 100 (on at full). There are different forms of conventional lighting, but for events we use primarily Lekos (a spot light with the ability to focus and shutter), Par Cans (a small wash light), Fresnels (a theatrical wash light). With all of them we can give the light a colour by putting a gel in front of it. You point the light in a specific place (focus) and that’s it. The real beauty behind it is choosing the right fixtures, with the right gel, with the right focus, and set the proper intensity. This is called setting a scene, and lighting becomes a very powerful and emotional tool. If you went to see a Broadway play and they just had the houselights on, no one would ever go. Lighting sets the mood, it is a direct translation of the emotion we are trying to achieve; happiness, sadness, mystery, fear, elegance, suspense and more. We can set a scene to be daylight in the park, nighttime in your bedroom, walking down the street during a storm. None of this would be possible to make the viewer believe without great lighting. Basics: Light the person from the front, from left and right and one light at an angle from the back to create a proper focus with the proper shadows. When I started, Intelligent or Moving Lights was frowned upon by the theatrical lighting world. They were loud, they were ugly, the light source was unnatural, they had no place in the legitimate world of theater. What those guys were actually saying was, they were expensive, they were difficult to learn and use, and they were going to take away their jobs. So what is an intelligent light? It’s a light that is controlled via a protocol called DMX 512 or Digital MultipleX for those who care. DMX was first used as a standardized protocal to control dimmers for conventional lighting, but some very smart people saw that it can be used for a lot more. An intelligent light typically features the following criteria: Pan and Tilt, colour wheel, gobo wheel, colour mixing, intensity, focus and shutter. Some other cool things could be iris, animation wheel, rotation wheel, prism and zoom. 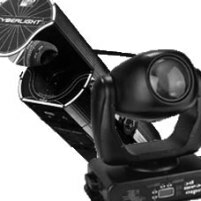 Each feature in an intelligent light responds to a computer command via DMX channels to move or turn. You can have the light point up, the colour wheel turn to a specific place, or the shutter to open and close rapidly and create strobe. 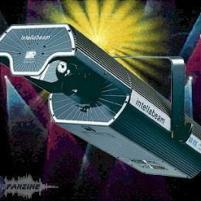 Moving lights have a long history, but the first recognized application of a computer controlled moving lights was for the Genesis Moving Mirror Tour where Genesis invested in a company called Showco, which became Varilite and they used lights that moved and changed colour via computer command. Pink Floyd too used mirrors to reflect lights and move the beams, but Genesis is credited with the first real Intelligent light used at a concert tour. ED Lights today are comparable to lekos, spots and moving lights… who would have thought? 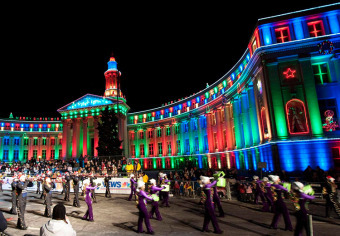 Event lighting has it’s own requirements and needs. Whereas theatrical lighting is to change the stage presence and emotion, concert lighting to evoke excitement and grandeur, event lighting has it’s own goals too. Ambiance: We try to set the room feel and look by washing the room with light and colour. 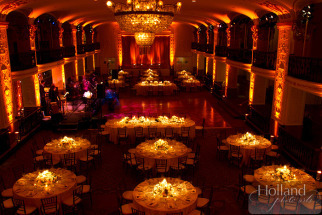 This is achieved with uplighting walls and columns, or having large wash lights focused around the space. We also want to light the bars, food stations, entertainment zones, decor pieces, etc. 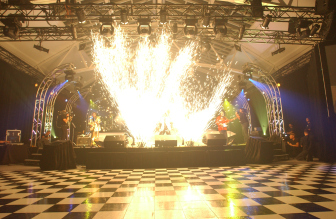 Band/Stage Lighting: If you have a band, a stage with entertainment or DJ then they need to be lit for visibility but also to add to the ambiance of the room and add excitement to their performance. Outdoor/Building lighting: Welcoming your guests with lighting seen from miles away always impresses and sets the tone for the event. 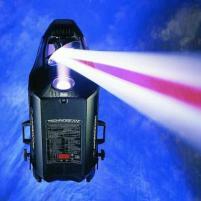 Custom Gobos: Gobos is a cut-out or image that you place in front of a spotlight. What you are actually doing is cutting out all the light around that image to only project that part. Gobos are either made of steel or they are etched glass. Glass is a lot more expensive, but you can add colours to it. A steel gobo can only add colour by adding a gel in front of the light. 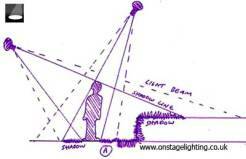 Rigging & Trussing: The ability to hang the lighting from the ceiling. The only way we can do this is if the building has rigging points or access to the main beams in the ceiling. We use either chain hoist motors or manual chain blocks to hang trussing with. The trussing then is used to hang the light fixtures off of. If there is no rigging we can use trussing from the ground up. This is labour intensive, blocks sight lines and also takes up floor space. But beggars can’t be choosers! Power and Cabling: Lighting requires a lot of power, but today with LED lighting it is less and less of a concern. In days past we would use hundreds of amps of power for an event, today we can plug most lighting into the wall circuits. Regardless though, power is always a consideration, and the more lighting used the more power accessibility is required. Should you ever need a power-tie in done, please insist that a certified master electrician do the tie-in and out for you, and they are properly insured. Time and labour: Lighting takes time. It takes time to load it in, hang it, wire it up, plug it in, troubleshoot and test, focus the lights, program the lighting and take it all down. It requires specialized knowledgeable labour to make it work and more importantly make it safe. We all want to save money, but always make sure that you have enough time to do the job and the right people to do the job well. I have been doing lighting for the better part of my life, and no matter what I do, I will always be involved somehow in lighting. 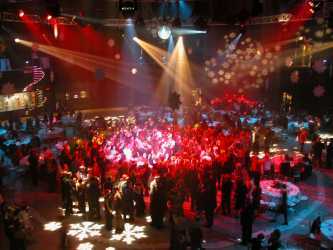 Today my focus with lighting is designing lighting for our events and the sales of. I am no longer a programmer or a technician, but for those of you out there, don’t think I can’t get in there and do it again! Lighting is somewhat of a thankless job, as most people don’t understand the complexity and work that goes into it. People are used to walking into a fully lit blue room with pinspots on all the tables. People though have no idea what it takes to make that happen. We actually do it for ourselves, not for the people. I used to program for hours and hours not to impress the guests, but to show my co-workers cool lighting. With everything in the advancement of technology there is good and bad, and that couldn’t be truer than in lighting. Theatrical lighting is an art. Period. Concert lighting is supposed to be cool. Period. 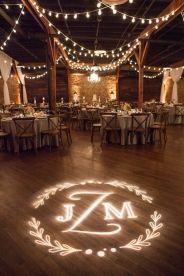 Event lighting is supposed to be for ambiance and mood. But to achieve that, the lighting designer needs to study the room, the concept, the needs, work in a budget and timeframe and be creative and innovative. Unfortunately a lot of lighting programmers today rely on effects and built in functions that the consoles offer to save on time and effort. Again, most people have no clue, but being a dinosaur programmer I can always tell when an effect is being used. *Message to all the programmers out there, it’s ok to use effects as an add-on, but please spend some time making positions, colour schemes and programming sequences. I one time spent 3 whole days with no more than 3 hours sleep a night programming a high school fashion show. I didn’t get paid for those hours, I did it because I wanted it to be cool. Every scene was programmed to the beat of the music. I remember it well, because it was one of the first times that I actually heard the crowd gasp when I started the show. That was a good feeling, and kept me doing lighting for years after. If you are actually still reading this blog, I’m impressed! I hope I shed some light (hahahahaha) on the subject for you. Any questions, don’t hestitate to send them my way!